Eh? 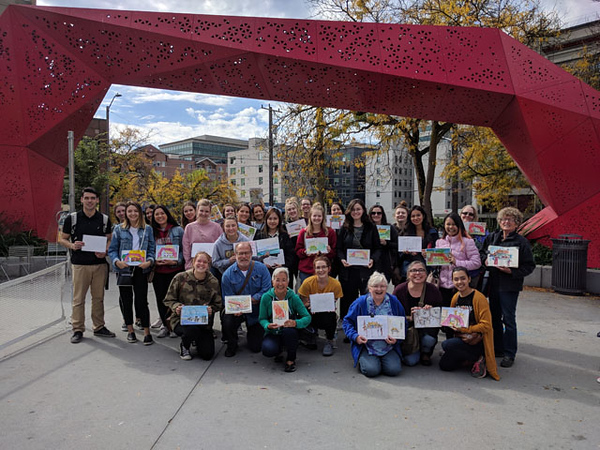 Urban Sketchers Seattle joined design students from Washington State University in Hing Hay Park in the International District yesterday. There were more of them then there were of us. At the throw down, it was interesting and fun to see how they interpreted the area in their sketches. I didn't think about it when I asked him, but the young man who took our photo was wearing a UW shirt. He suggested we shout "Go DAWGS!" 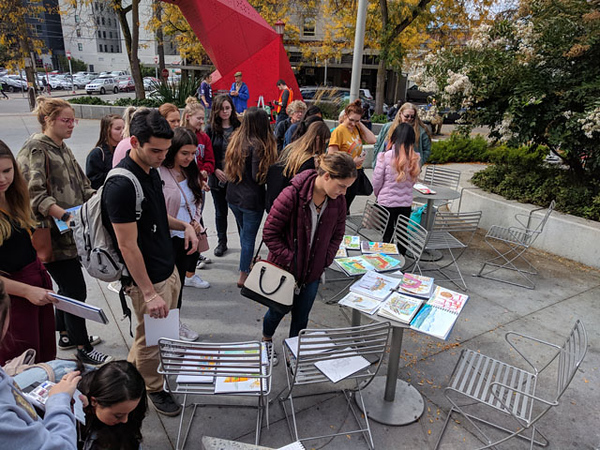 but the students replied with "Go COUGS!". 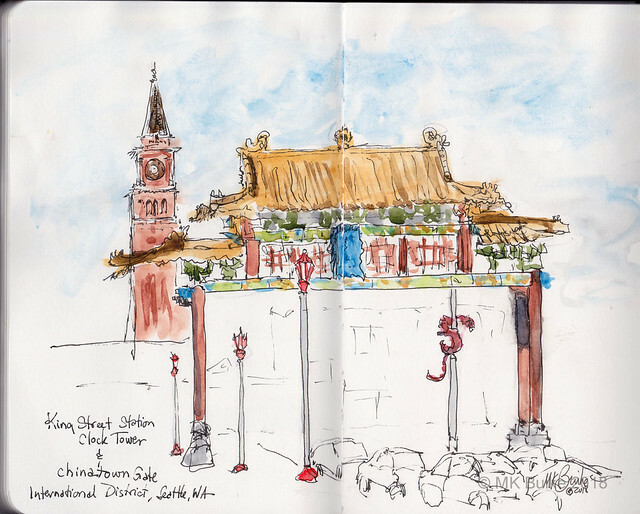 I've sketched the Chinatown Gate before but from the other side. In recent visits to the area I noticed this view and immediately knew I wanted to sketch it. That's the clock tower from King Street Amtrak Station in the background. As we were walking to the meeting spot from the ID light rail station, I noticed this view with the Smith Tower in the background. 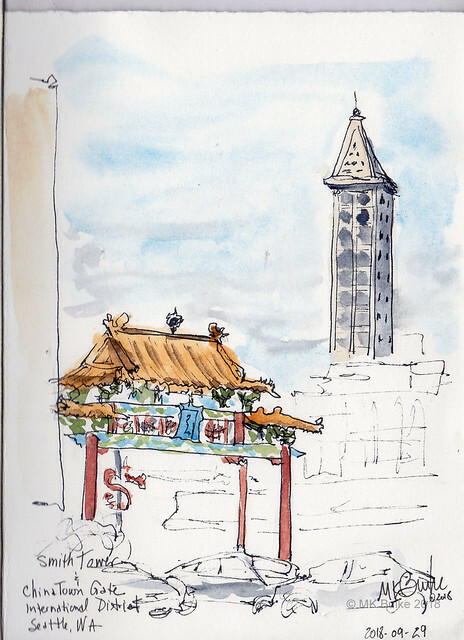 I've now sketched the Smith Tower twice in two straight days!